THERE are only a few days left in what has been a hollow election campaign where politicians avoided the major issues. On polling day, barring a seismic shift, the vast majority of the electorate will again vote for the unionist or republican negotiators they believe can best protect their interests. That won't have come about as a result of a careful reading of manifestos, but rather because voters understand that this remains a deeply divided society with a contested future. Incredibly, however, the campaign has avoided the major issues that touch on those realities. Careful stage-managing, at Stormont and in the Fresh Start Agreement endorsed by the British and Irish governments, has allowed the parties to postpone the tough topics until after the election. THE LEGACY OF THE TROUBLES: Twenty years into the peace process, politicians have yet to deal with the legacy of the Troubles. This is despite its toxic impact on politics and the pain caused to victims. The Detail previously reported here how party political considerations continue to overshadow the needs of the hundreds of thousands of people injured, traumatised or bereaved. ONGOING PARAMILITARY ACTIVITY: Paramilitary groups continue to have thousands of members, with organisations involved in hundreds of acts of violence and intimidation each year, yet only 48 jail terms were handed out under anti-terror legislation over the last decade. Communities report lawlessness around paramilitaries, while government has failed to introduce a re-integration strategy for the estimated 30-40,000 former prisoners. Read the full Detail Data report here. DYSFUNCTIONAL POLITICS: Stormont's failings were demonstrated in our critical analysis of its Programme for Government here. One of the most controversial failures of the last Assembly term was the Social Investment Fund, which ring-fenced £80million for the poorest communities. However, The Detail previously revealed insider claims that it was delayed for nearly three years over whether more of the money would go to Protestant or Catholic communities. Read our series of special reports on the claims and counter-claims here. Separate to that, the High Court in Belfast ruled in June 2015 that Stormont failed to meet a legal obligation to deliver an anti-poverty strategy for Northern Ireland based on objective need, which was reported here. CULTURE WARS: Cultural clashes go to the heart of the Troubles, yet nearly 20 years after the Parades Commission was introduced in the face of unionist objections, there is no agreed replacement despite ongoing tensions. The 1998 Good Friday Agreement promised ‘parity of esteem’ for the two main traditions, but there is virtually no recognition for the Irish identity in the fabric of Stormont’s parliament buildings and no Irish language act despite similar protections in Scotland, Wales and the Republic of Ireland. Figures challenging these political deadlocks were reported here. POLITICAL DONATIONS: The Detail revealed here how inaccurate information about financial donations to Northern Ireland politicians was submitted to the Electoral Office after the last general election. We also shed new light on a loophole in the law allowing access to the identity of some donors, despite government claims that transparency can’t be delivered for security reasons. This kick-started a fresh debate, but the Assembly election campaign again kept voters in the dark as to who is funding political parties. DEMOGRAPHIC SHIFTS: Questions on Irish reunification are predictably knocked down in opinion polls. It’s safe to discuss such hypothetical scenarios, but we shy away from debating the real changes that are already under way. Major demographic shifts have eroded the unionist majority, but could deliver an outcome that challenges both the DUP and Sinn Féin. See The Detail’s Imaging NI infographic project here. 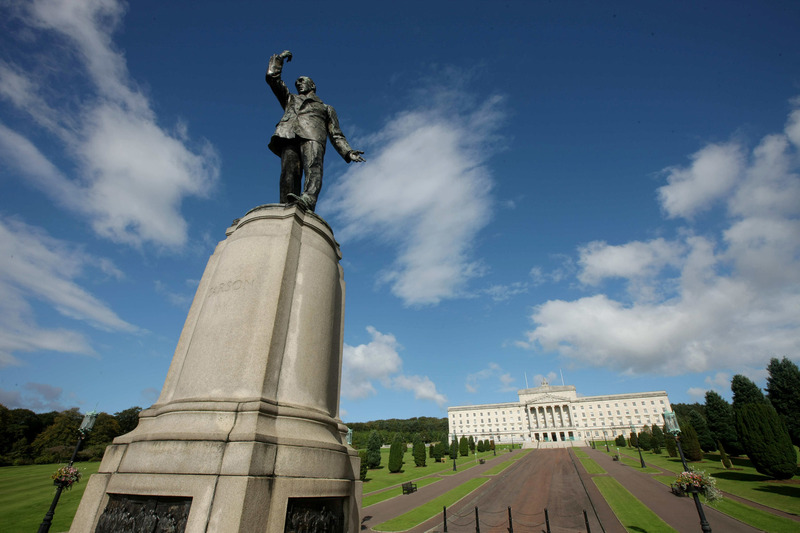 INEQUALITIES AND HUMAN RIGHTS: Stormont recently introduced a Racial Equality Strategy after a delay of nearly a decade. The Assembly has yet to produce a Sexual Orientation Strategy. This comes against the background of persistent racist and homophobic intimidation as previously reported under the heading ‘Beyond Orange and Green’ here. Stormont has failed to deliver marriage equality. It has also presided over economic and infrastructural inequalities, reported here and here. Is progress a prisoner to party politics? ABORTION: Regardless of where voters stand on the controversial issue of access to abortion, they deserve to know how election candidates plan to deal with it. The issue has also been delayed until after the election, though Detail Data previously uncovered how political failure is exporting the matter. See here. EDUCATION AND DEPRIVATION: Educational outcomes and deprivation remain closely linked, yet the system in place in Northern Ireland arguably continues to effectively discriminate against children from deprived backgrounds. See some relevant statistics here. PARTY POLITICS: The Detail examined the continuing impact of Peter Robinson on the DUP’s new leadership here, as well as looking at Sinn Féin’s continued reliance on its veteran leaders here. 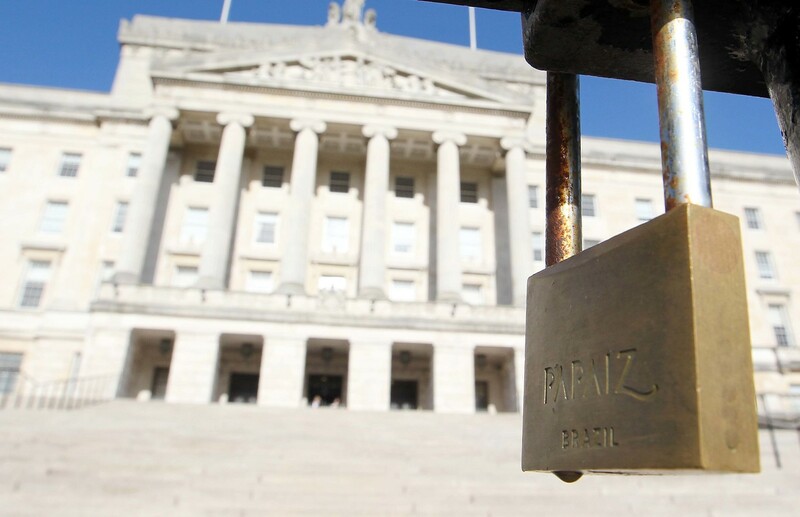 The parties’ rival agendas have delivered gridlock at Stormont. Over the last decade the British and Irish governments have also been effectively disengaged, but it is rarely noted that this comes against the background of the Conservative party’s occasional reliance on the DUP at Westminster and Sinn Féin’s emergence as a threat to Dáil parties. AVOIDING all these subjects during this Assembly election campaign - often on the pretence of focusing on 'bread and butter' issues - means politicians are avoiding the tough task of building a shared future. And until that happens, aren't we just playing at `normality’? Careful stage-managing - at Stormont and in the Fresh Start Agreement endorsed by the British and Irish governments - has allowed the parties to postpone the tough topics until after the election. THE LEGACY OF THE TROUBLES: See here how party political considerations continue to overshadow the needs of the hundreds of thousands of people injured, traumatised or bereaved. ONGOING PARAMILITARY ACTIVITY: Paramilitary groups continue to have thousands of members. Read the full Detail Data report here. DYSFUNCTIONAL POLITICS: Stormont's failings were demonstrated in our critical analysis of its last Programme for Government here. CULTURE WARS: See the figures challenging political deadlock here. POLITICAL DONATIONS: The Detail revealed here how inaccurate information about financial donations to Northern Ireland politicians was submitted to the Electoral Office after the general election. DEMOGRAPHIC SHIFTS: See The Detail’s Imaging NI infographic project here. INEQUALITIES AND HUMAN RIGHTS: See here for a report on social issues, plus economic and infrastructural inequalities, reported here and here. ABORTION: Detail Data previously uncovered how political failure is exporting the matter. See here. EDUCATION AND DEPRIVATION: See some relevant statistics here. PARTY POLITICS: The Detail examined the continuing impact of Peter Robinson on the DUP’s new leadership here, as well as looking at Sinn Féin’s continued reliance on its veteran leaders here.